Cunard Line announced that actor and social media superstar George Takei will join Queen Mary 2 on her July 28 Transatlantic Crossing from New York to Southampton. Guests and fans on board the eight-night voyage will be treated to two presentations in the Royal Court Theatre, followed by a Q&A session with the star and dynamic personality, according to a Cunard press release. “We are thrilled to welcome George Takei aboard Queen Mary 2 this summer,” said David Dingle, CEO for Cunard Line. “Mr. Takei is considered an icon among Cunard’s guests, and we know they will thoroughly enjoy this unique opportunity to get to know him during the crossing. It’s another example of the exceptional programming we feature in our Insights enrichment programme," he added. With a career spanning five decades, George is most well-known internationally for his founding role in the original "Star Trek" television and film series, in which he played Hikaru Sulu. Nowadays, he's one of the most influential personalities on Facebook with more than 6.9 million “Likes” to date. “George Takei: Embracing Change” will focus on the many communities that have been central to his life and career: the Japanese-American internment camp of his childhood, the cast and creators of "Star Trek," and the Asian American and LGBT communities for which he has become a leader in the United States. 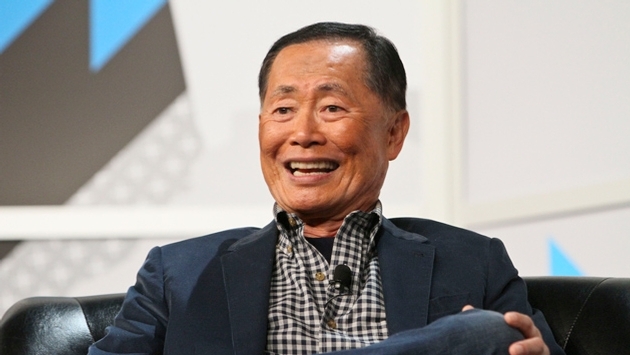 “George Takei in Hollywood” will be a trip down memory lane with the actor on his 50-plus years in show business, from his first feature film, 1960’s "Ice Palace" starring Richard Burton, to his many "Star Trek" memories, to his upcoming Broadway debut in "Allegiance." George Takei is part of Cunard’s illustrious history of hosting famed entertainers. Legendary notables such as Elizabeth Taylor, Rita Hayworth, Cary Grant and Clark Gable frequently crossed the Atlantic on Cunard’s earlier Queens, Queen Mary and Queen Elizabeth; and since Queen Mary 2’s debut nearly ten years ago, the ship has welcomed film notables such as George Lucas, Uma Thurman, John Cleese and Angela Bassett. Later this year, Grammy Award-winning singer-songwriter James Taylor, will also join Queen Mary 2 on her August 27Transatlantic Crossing. Stateroom and Grills Suites are still available for the July 28, 2014 Transatlantic Crossing (M414A) with fares starting from $1,599 per person. For more information about Queen Mary 2, or to book a voyage, contact your Travel Agent, call Cunard Line toll free at 1-800-728-6273, or visit www.cunard.com.